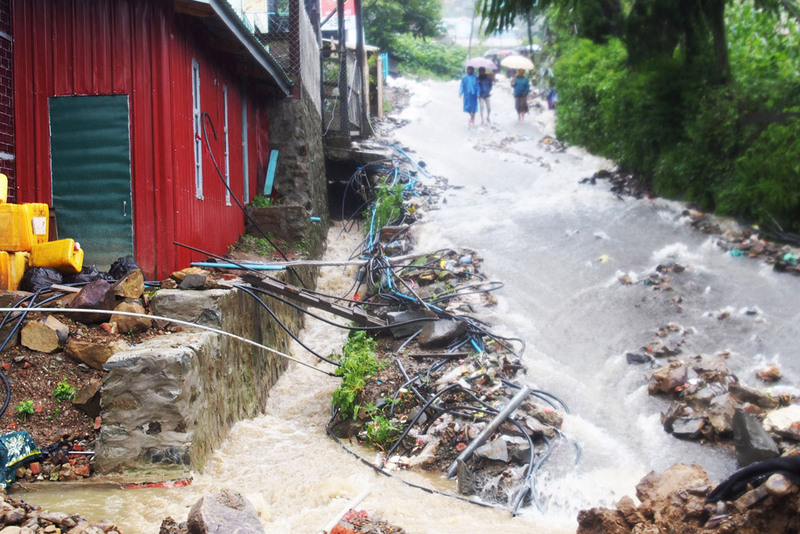 Heavy monsoon rains since the beginning of June have caused flooding in five states and regions of Myanmar, resulting in 14 deaths and affecting at least 26,000 people, a United Nations humanitarian coordinator reported today. The states and regions that are now affected by floods are the same as those that were severely impacted by floods and landslides between July and August 2015, said Janet Jackson, the UN Resident and Humanitarian Coordinator on Floods in Myanmar, in a press release issued by the UN Office for the Coordination of Humanitarian Affairs (OCHA). Initial reports from the Government Relief and Resettlement Department indicate that at least 26,000 people are affected in Ayeyarwady, Bago and Sagaing regions, as well as Chin and Rakhine states. A total of 14 deaths have been reported from the union-level Relief and Resettlement Department, media sources and the Rakhine State Government. Preliminary figures indicate that more than 5,000 houses have been inundated, with more than 280 destroyed in flood-affected areas. In some areas, people were evacuated to safer locations by authorities. In areas where the water level receded, people were reportedly able to return to their homes, while others whose houses were destroyed continue staying in temporary locations, where they receive support from the local authorities. Floods caused damages to infrastructure facilities, including roads, bridges, wells and communal buildings, although the extent of the damages is still being analyzed by authorities, the humanitarian coordinator said. Ms. Jackson noted that the State and Regional Governments are leading the response by conducting initial assessments and providing assistance, including food and other relief materials, to affected people in flooded areas. However, preliminary assessment reports indicate that urgent needs include food, non-food items, tarpaulins, medicines and cash. Humanitarian partners are monitoring the situation across the country and are working closely with local authorities to support them as needed, she said. Ms. Jackson highlighted that the UN and humanitarian partners have offered their support and are already working closely with the Myanmar authorities at local, state, and union levels to assess urgent needs and support the humanitarian response.